My wife and I went to the Mason Sttreet warehouse at the Saugatuck Center for the Arts in downtown Saugatuck last night where we saw one of the most hilarious, funniest play's they have ever produced. Dixies Tupperware Party, it is a must see and will open up your sides, you'll be laughing so hard, it's a must see this summer while your in town! See below for the synopsis of the play and how to get tickets.the hilarious. Another great day in a great place on a great planet! 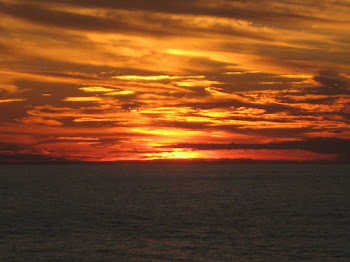 (say no more) ....Weathers perfect, mid 80's in the air, mid 70's in the water (Lake Michigan), mostly sunny all day. Hate to repeat myself, but here goes. It's another great day here in the forest. We have one week left at the cottage this summer season: August 14-20. It goes for $1250/week. 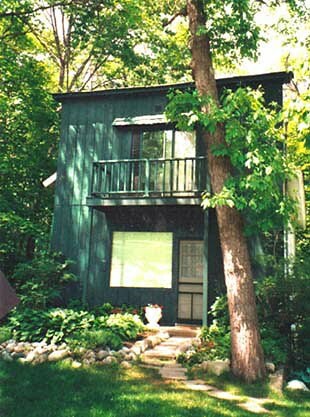 It sleeps up to 5 people, has a full kitchen, washer/dryer, and is only 1/2 block from Lake Michigan and the public beach, and yes, it's pet friendly. It goes back to nightly rental after Labor Day. 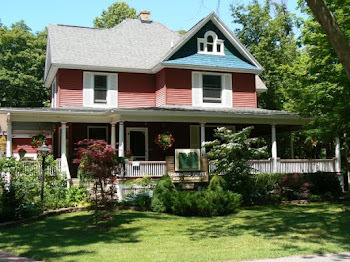 For more information, you can visit the cottage website at http://www.sherwoodforestbandb.com/COTTAGE.HTML. Perfect for all those Facebook friends of Sherwood Forest Bed and Breakfast looking for a last minute summer vacation!!!!! July 24 Douglas Dutchers Vintage Baseball, downtown Douglas........Dutchers vs South Haven Barkpeelers BBC 2 pm at Beery Field.